Jack Frost is probably far from anyone’s favorite Christmas movie. I do not think it was ever overly popular; it’s not played on television a huge amount during the Christmas season and most people would not immediately think of it on a list of the top twelve Christmas movies of all time. 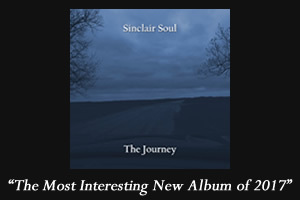 So why is it here? Well I’ll be completely honest; it’s about a father and son and I saw it with my Dad when I was seven. So right there is my bias on this one but going beyond that you can find some genuine reasons why this film deserves to be on this list. The story is emotional; as the Michael Keaton plays a father who is too busy with his music career to spend time with his son. When he finally does make the decision to put music behind his family; he dies in a car accident. 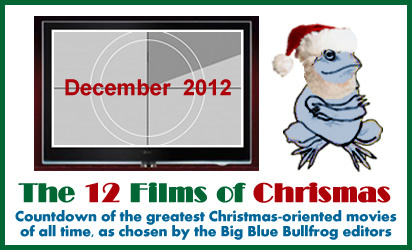 Right there you have the beginnings of a good Christmas film because Christmas isn’t all about happiness and joy. It’s about reflecting on loved ones and longing for Christmas’s past just as much. The movie of course gets into the true vein of Christmas when Keaton is re-incarnated as a Snow Man after his son Charlie (played by Joseph Cross) blows on a harmonica Keaton had told him jokingly was magic earlier in the film. After he returns as a Snow Man the father and son duo bond and spend a bit of extra time together before winter ends. The ending is bittersweet as Keaton’s character does in fact pass on. In many ways this film isn’t so much about a father son duo it’s about a son overcoming the grief for the loss of his father. By the end of the movie Charlie has reached catharsis with the loss of his father who he knows will always be with him in his heart. Something about this movie hits me right where I live. Maybe it just hit me right at the perfect age for it to make an impact on me or something. Anyway I feel safe in putting it at number eleven for all of the reasons listed. Christmas is about more than being happy and this film shows you all the emotions that tend to run through this holiday from grief to wonderment and everything in between. Plus Michael Keaton as a blues man is pretty cool in itself! 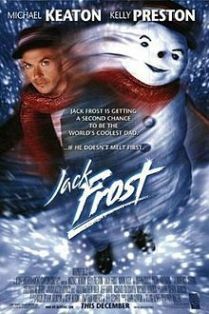 Oh and it rectified the use of the title Jack Frost for the god-awful cult horror film which bastardized snow men which are something kids should love. There is something that really irks me about films where Snow Men or Santa Claus go around killing people. It just goes completely against the holiday and is done for no other reason than to shock. I love Gremlins which is a horror film SET during Christmas because it doesn’t take a Christmas tradition and ruin it; instead it shows us something bad happening ON Christmas. There is a big difference. Anyway on to number ten on the movie countdown!